Vshivkov Y. F., Galushko E. A., Krivel’ S. M.
The article presents the main assessment results of calculating reliability of aerodynamic characteristics of a support system near the underlying surface. The assessment is based on comparing the calculation results with the experimental data and the results obtained by other authors using alternative methods. Key words: aerodynamic characteristics; a WIG vehicle. Vshivkov Y. F., Galushko E. A., Krivel' S. M.
The article presents approaches to designing a WIG vehicle with specified maneuvering characteristics and a wide operating speed range for level flight. Providing the maneuverability mounts challenges to operational range of angles of attack and lift coefficients. The aerodynamic design of a WIG vehicle meeting the requirements is proposed. Key words: a WIG vehicle; maneuverability; a lift coefficient; aerodynamic design. The article presents the information about emission trading mechanisms and examines the measures adopted by the European Union to receive money for flights over its territory and to reduce aircraft engine exhaust emissions. The article presents activities undertaken by Russia to receive royalty and actions of the European Union to cancel the payments for flights over the Trans-Siberian railway in the future. Key words: royalty; greenhouse gases; quotas; the Trans-Siberian railway; aircraft. The article deals with the problem of media education and media literacy as a significant quality of a pupil’s personality in the process of Federal State Educational Standards implementation. The necessary prerequisite of successful cooperation with representatives of other nationalities and cultures is not only foreign language acquisition but awareness of cultural diversity of the world, based on the analysis of particular products of human activity as well as the analysis of specific situations of cross-cultural communication. Media texts are the most available sources of such information, and their analysis allows integrating language teaching, cross-cultural communication and media education. Keywords: cross-cultural communication; media education; media texts; students; media texts’ analysis. The article presents the author's educational program “Music computica” for young learners of music schools. New experience involves the development of media literacy among young learners with the help of digital educational resources. The importance to integrate media education in teaching music in terms of the exponential growth of new media is emphasized in the article. Key words: music education, media, “Music computica”, educational resources, critical thinking, music literature, media education, media literacy. The article studies media competence as a goal of media education and a training outcome through the prism of linguistic education. It describes its currentness, gives an analysis of its terms in the pedagogical science. Key words: competence; media competence; media education; foreign language. This article is devoted to the analysis of the culture of the creative nature of contemporary media culture. The author provides an outline of the media culture, its sphere of influence on contemporary socio-cultural space. Keywords: media, media culture, media reality, cultural studies approach, philosophical analysis. This article is devoted to the analysis of the concept of “conflict competence” of the head. 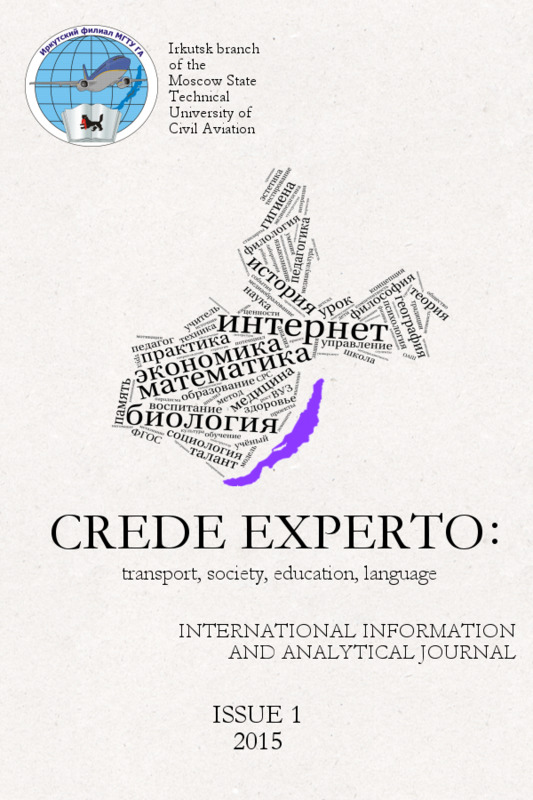 The concept and the essence of the category under consideration are formulated based on the analysis of the works of leading Russian researchers. The author comes to the conclusion that conflict competence is an essential aspect of professional and self-education of the head of an educational institution. Constructive, learner-centered nature of managerial and pedagogical interaction is provided due to the conflict-competent training, as well as general, moral and legal cultures of the head of an educational institution are improved. Keywords: conflict competence, moral and legal culture, the head, educational institution, constructive character, managerial and pedagogical interaction, conflict. In the article the author attempts to present the conceptual level of instructional (pedagogical) design. This level is focused on creation of the foundation of the object or on its predictive model representation (model of education in the humanities). The product obtained at this level is universal in nature and can serve as a methodological basis for the creation of the products of the following level. The author considers instructional design as a source of innovative changes in the educational environment based on scientific research, goal-setting, forecasting, designing, and modeling of various objects. The author offers a model of formation of significant professional communicative skills of future employees in catering. The way how this model functions is described. Keywords: model; formation; model approach; system; system approach; meaningful professional communicative skills; students; vocational education. The basic notion of competence is analysed in reference to the notion of competency in the present article. The pedagogical and psychological interpretation of these terms is given. The structure and the content of competence-based approach used in training of future teachers for innovative activity are revealed. Key words: competence-based approach, competence, competency, innovative activity, innovation. The necessity of the development of musical-aesthetic culture of students of such specialties as 050000 "Education and Pedagogy", 440000 "Education and Pedagogical Sciences" is justified in the present article. Theoretical interpretation of the process under study and the structural components are observed. Keywords: development, culture, musical and aesthetic culture, music, aesthetics, aesthetic upbringing, musical art, musical and aesthetic consciousness. UDC 37.018 BBK 74.90 Malanina Ju. N.
The article explores the institution of an adoptive family, its culturantropological, socio-economic and national peculiarities and considers the similarities and differences of forming the social institution in Russia and abroad. Key words: sociocultural peculiarities; children without parental care; adoptive parents; family education; adoptive family; patronate families; foster families; children's villages; halfway houses. The article reveals a wide range of contradictions and unsolved questions of educational integration. It presents a review of the socio-educational situation in the context of innovation and state policy, characterizing the social importance of the integration processes. The scientific and practical achievements defining the Russian peculiarities of embedding special education in the common educational environment are analysed. The questions of professionalization and teachers’ reprofiling in the context of educational integration are considered. Key words: educational integration; problems; innovation; state policy; children with disabilities; scientific achievements; implementation; teacher of general education; reprofiling. The article reveals main problems of individualized education: adaptive learning on the base of on-line testing, simulation games for development of creativity and ef-fective management skills. Ways to solve the problems are suggested. Key words: individualized education, humanization, adaptive learning, testing, simulation game, foresight project. 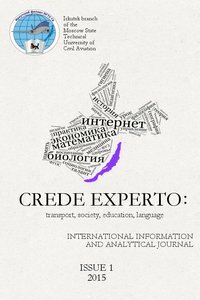 Vishlenkova E. N., Kudrjavceva G. F.
The article presents the experience of educational establishments located in the countryside directed toward creating conditions and opportunities to give good profile education for village children. Ключевые слова: profile education, village school, agroclasses, profilization, professional orientation, educational program, personal results, metadisciplinary re-sults, subject results, Federal State Educational Standard. One of the important aspects of our humanity is to move to a new stage of development — the Information Society, which has an impact on all spheres of life, including the health of children and which serves as an objective reality. Over the last decade, due to the growth of informatization, the researchers highlight an increase in the level of aggression, a decline in intellectual performance, a deterioration of mental health, a rise in the number of children with behaviour problems, hyperactivity, inattention, decreased mental capacity. 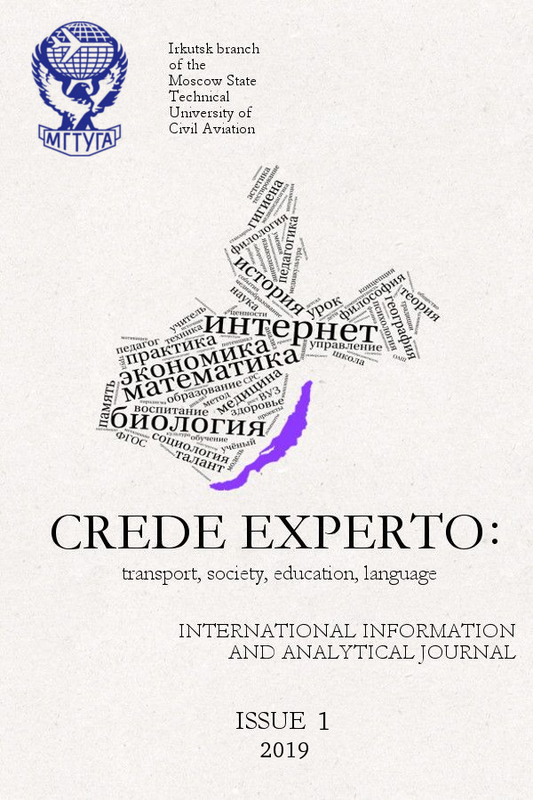 In the present study some pre-school educational institutions of Irkutsk were examined in the context of informatization changing in the time period from 1998 to 2012. The research allowed revealing changes in the mental health of children. 176 children aged 5.5 to 6.5 years in preschools central district of Irkutsk were observed. Two groups of children were formed: Group 1 – the children who attended kindergarten in 1998 and Group 2 – the children attending kindergarten in 2012. Age groups of preschool children coincided with their calendar age: 5 years 5 months 30 days to 6 years 5 months 30 days. The study of mental health according to Anfilov’s test revealed that in the changing conditions of informatization indicators of mental capacity undergo significant changes. At this stage the speed of information processing increases (p <0.05) and its quality decreases (p< 0.05). The total score of productivity index is not affected. The trend has been expressed more clearly among the boys. Keywords: children of preschool age/ preschoolers, informatization, mental capacity. Alkebaeva D. A., Esimova Zh. D., Akshalova B. N.
Death is one of the hardest realities in life that everyone has to accept sooner or later. As a human being we have to express our sympathy with a person who has experienced pain, grief or misfortune, so that he might get out of this sorrow very soon and take responsibilities of the family. Kazakh people knew the concrete power of magic words from the ancient time. Knowing the power of the words, they used it widely in practices like obituaries, condolences.